Following Sunday's Super Bowl win, Rob Gronkowski says he will make a decision about his future with the New England Patriots "in a week or two." Gronkowski, 29, said before the Patriots' 13-3 win over the Los Angeles Rams on Sunday that he was considering retirement from the NFL. 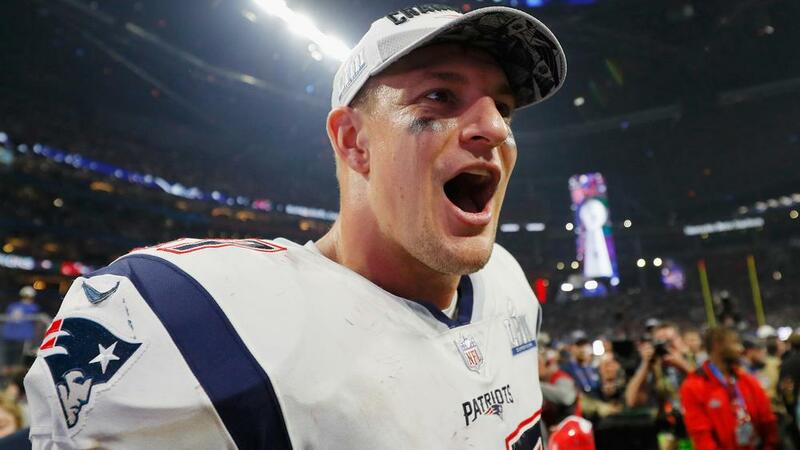 "It's about celebrating with my team-mates and that decision will be made in a week or two down the future," Gronkowski told a news conference. "Tonight it's about celebrating with my team-mates and that's what I'm worried about. "We're going to have a good time, Bill [Belichick, coach] told me he's partying tonight so you know it's going to be good." Gronkowski had six receptions for 87 yards during the Patriots' win in Super Bowl LIII.